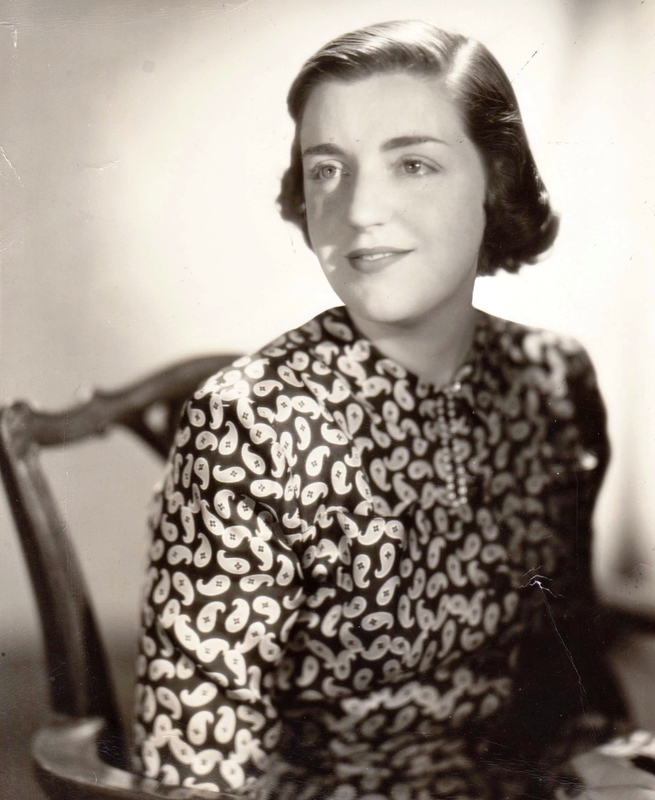 STONINGTON, CONN. – The first thing to know about Marguerite Riordan, who died March 18 at 92, is that she was a person of impeccable style. Her taste, clean and classic, was the consequence of looking, thinking, discarding and looking again. Though she made her name as a premier dealer in high-country American furniture and folk art, in another era, she might have dealt in studio craft or been an architect. Early in her career, she worked for Elizabeth Arden and David Webb. One of her first antiques, she told me around the time she and her husband, Arthur, auctioned their collection at Christie’s in January 2008 and Marguerite slipped quietly into semi-retirement, was a red-painted tavern table with reeded legs that she purchased from Windsor, Conn., dealer Horace Porter in 1958. Restless as a young mother in the Connecticut suburbs, Riordan began selling antiques in the 1960s after filling her Eighteenth Century house in Glastonbury with quilts, weathervanes, baskets, samplers and stoneware. She turned heads almost from the start. New York Times columnist Sanka Knox mentioned her for what appears to be the first time in an October 1969 story about the Park Avenue Antiques Show at 34th Street, where Riordan and dealer Frank Ganci showed Chinese export silver. 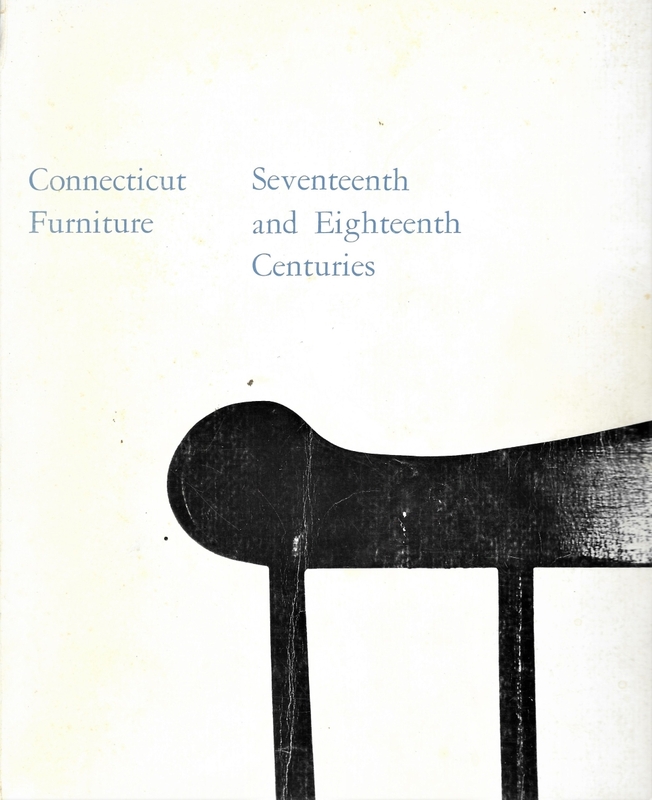 She was inspired by “Connecticut Furniture: Seventeenth and Eighteenth Centuries,” which opened at the Wadsworth Atheneum in fall 1967. Organized by Henry P. Maynard, curator of American arts, and a sequel to the museum’s first major exhibition of Connecticut furniture in 1935, the show borrowed from the most prominent collectors of the day as well as from dealers Mary Allis of Fairfield, Conn., with whom Riordan was frequently compared, and Lillian Cogan of Farmington, Conn.
“The show was marvelous. I remember opening night. They were selling books at a table. I wanted a dozen hard copies and a dozen soft copies. Arthur said I was out of my mind, but these were tools for learning,” remembered Riordan, whose love of the arts of southeastern Connecticut and adjacent Rhode Island never waned. As a dealer, she mingled graceful furniture, both paint-decorated and finely finished, with boldly articulated weathervanes and cast-iron lawn ornaments, striking primitive portraiture, schoolgirl embroidery and cobalt-embellished stoneware. 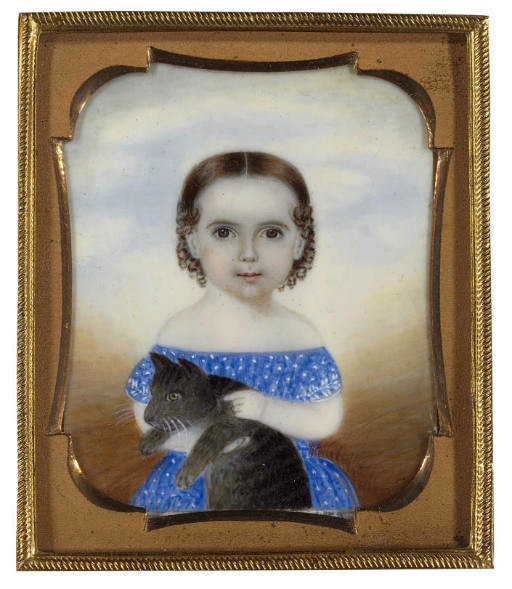 She collected portrait miniatures by naïve artists before it was fashionable to do so and once ruefully confessed that a cleaner disposed of a cardboard box full of the objects she had tucked away. Marguerite Riordan with Winter Antiques Show chairman Mario Buatta. “Her booth was filled with folk art treasures that drew important collectors like a magnet,” says R. Scudder Smith. Riordan was a fixture of the show from 1972 until her retirement from it roughly 30 years later. 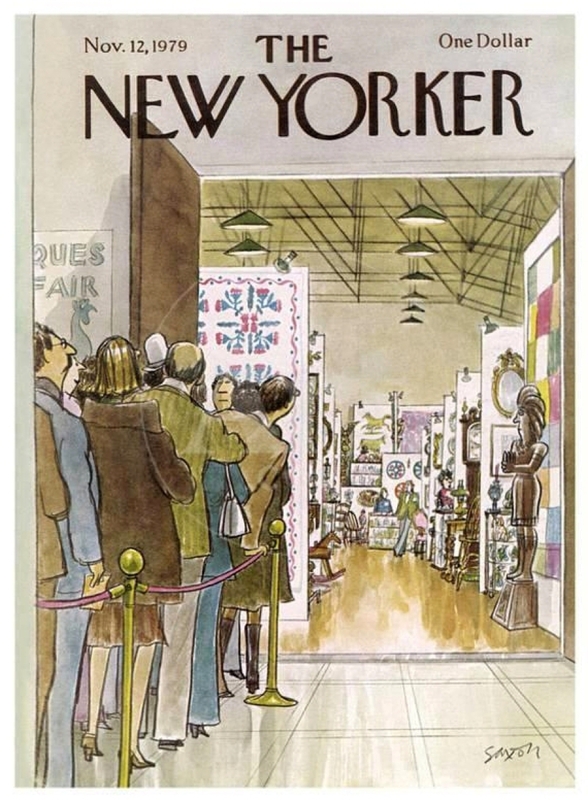 Riordan loved the Eastern States Antiques Show, for many years a hotbed of Americana in White Plains, N.Y. For the November 12, 1979, cover of the New Yorker, illustrator Charles David Saxon sketched a well-heeled crowd pressing to get into the fair. Visible at the end of an aisle, past a cigar store Indian and rocking horse, Riordan can be seen standing behind a painted chest and near a Windsor chair, weathervanes suspended above. It was a satisfying moment for the dealer, as Mary Allis’s shop had been similarly depicted in a 1947 cover illustration for Saturday Evening Post. “My grandfather was competitive and driven. 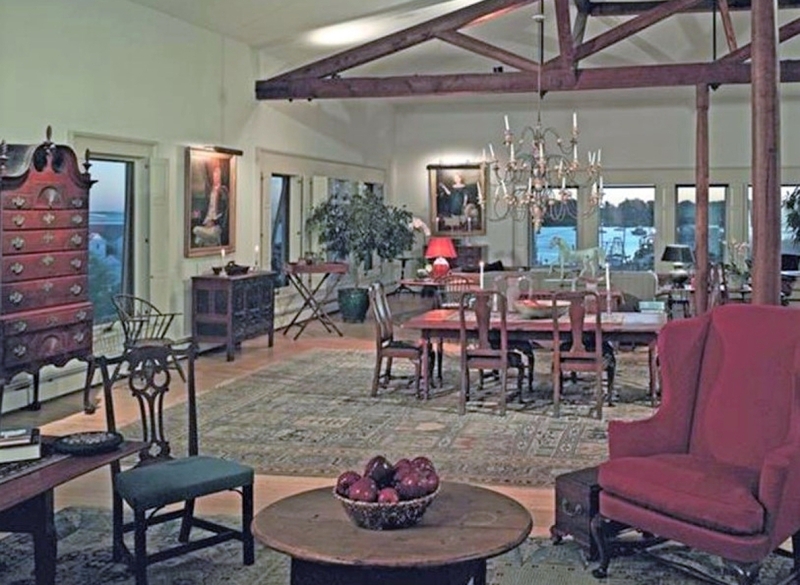 He didn’t settle for second place,” conservator Robert Lionetti says of John Walton, a rough-hewn Connecticut dealer who was a dominant player in the high-end market for American furniture. “It’s hard to believe my grandfather was close to anybody in the trade, but he was fond of Marguerite, and for a time, called her every night at 5 o’clock to ask what she’d done that day,” Lionetti says. As Riordan once explained, “John used to say the trouble with women was they couldn’t make up their minds. Mary Allis never dickered. She bought it or she didn’t. That was also true of Florene and me.” As one story goes, Walton and Riordan once bought a Boston Fishing Lady needlework in partnership for $18,000, then took a joint advertisement announcing their partnership in the deal and desire to buy more. A canny businessperson, Riordan partnered with other top dealers, from Wayne Pratt to David Wheatcroft, when opportunities of mutual interest arose. 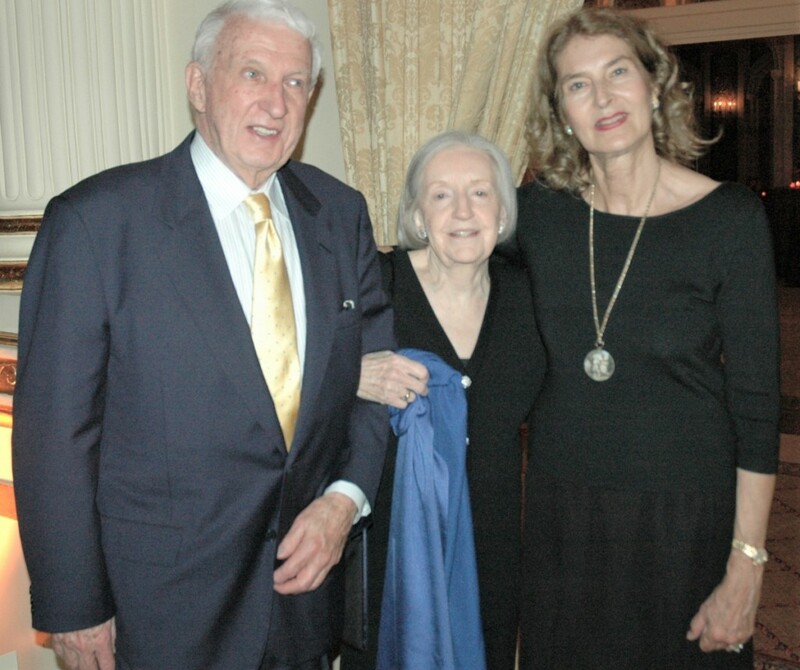 Marguerite with Wendell Garrett and Sandra Brant at the 2008 American Folk Art Museum gala honoring the Riordans and Jerry and Susan Lauren. In January 1985, New York Times antiques columnist Rita Reif wrote about a trio of Ammi Phillips portraits, on exhibit in Manhattan and “the talk of the American folk-art world.” One, depicting a young girl in white, Mary Elizabeth Gale, was in Riordan’s Winter Show booth, priced $300,000. 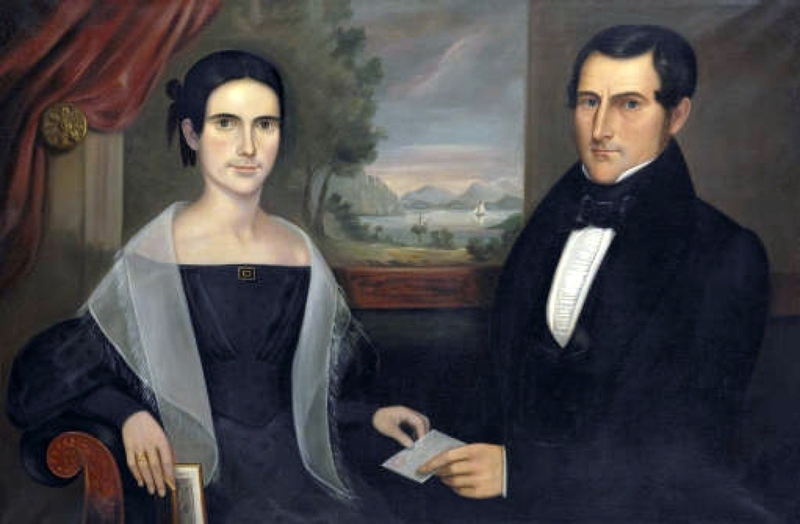 The two other Phillips portraits, both girls in red dresses with spotted dogs at their feet, included one purchased by a New York collector for more than $1 million and promised to the Museum of American Folk Art. “Until this month, the highest price ever paid at auction for an Ammi Phillips was $203,500,” Reif wrote. Riordan demanded loyalty from those with whom she did business, but countering her reputation for toughness was the generosity she often showed younger professionals in whom she saw promise. Madelia Hickman Ring, a Christie’s consultant when she helped ready the Riordan sale for auction in 2008, remembers the dealer’s solicitude and encouragement. 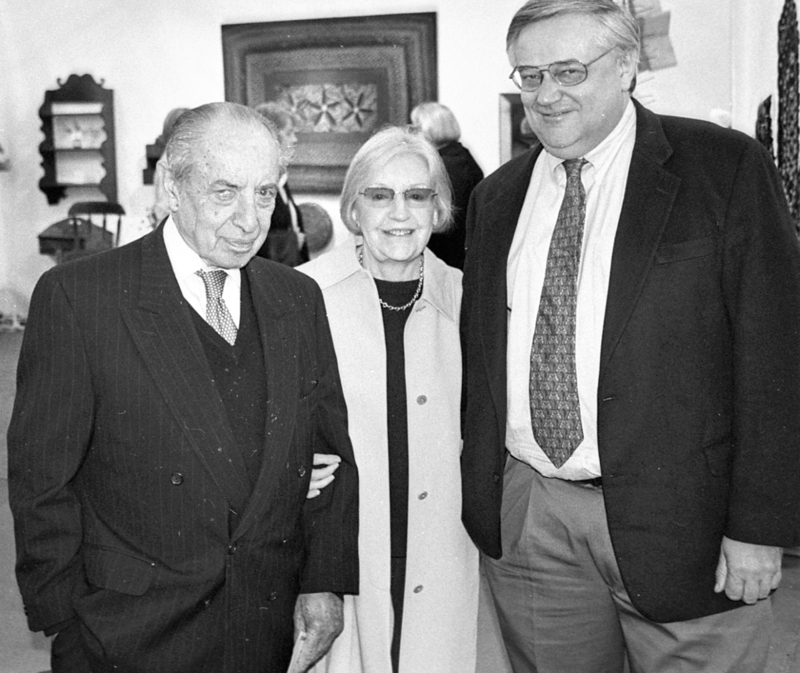 “She could be very giving with her friends and family and would be the first to support a research project, book or exhibit,” agrees Lionetti, recalling a lunch the Riordans organized to help fund the publication of Connecticut Valley Furniture, a project Lionetti undertook with his research partners, Thomas and Alice Kugelman. Among many similar gestures, Riordan underwrote the installation of Betty Ring’s 1984 exhibition “Rhode Island Needlework, 1730-1830″ at the Metropolitan Museum of Art. The Riordans entertained the Walpole Society and many others at their loft apartment on Pearl Street overlooking Stonington harbor and Long Island Sound. 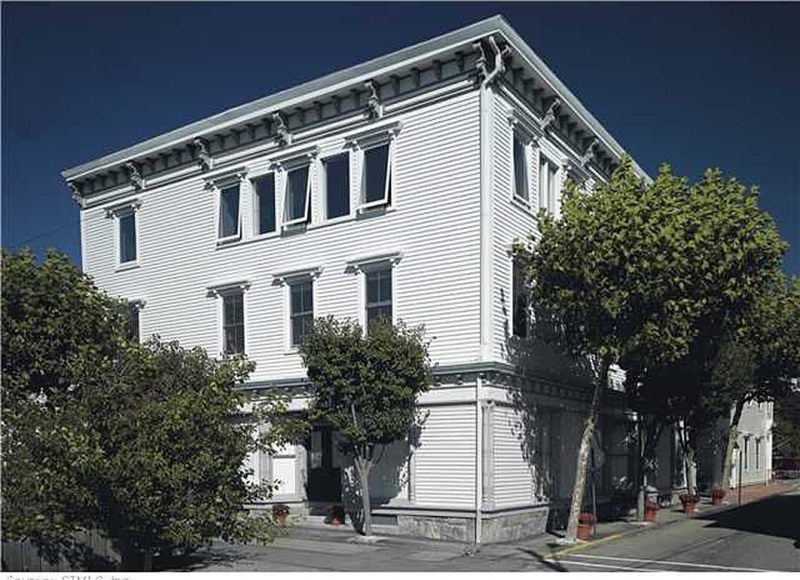 They lived above the shop in the Nineteenth Century commercial building they purchased in 1971 and renovated to suit their needs. At street level was Marguerite’s by-appointment gallery and office, the latter lined with posters made from dozens of her ads from The Magazine Antiques. The laminated pages called attention to Riordan’s proudest achievement: the superlative examples of American furniture and folk art she discovered, researched or otherwise put before the public eye. Arthur and Marguerite Riordan with Donna Schwartz at the American Folk Art Museum’s 2008 gala honoring the Riordans and collectors Jerry and Susan Lauren. 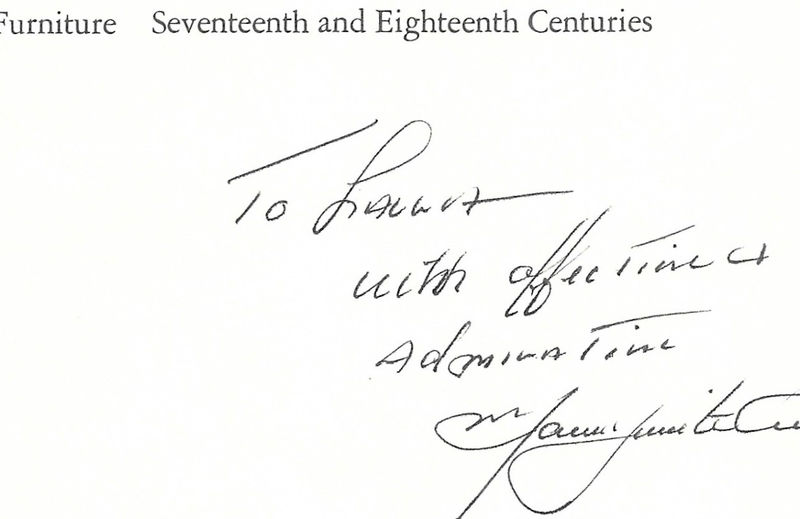 In early September 2007, Riordan confirmed that she and Arthur had consigned their personal collection to Christie’s, which planned a cataloged, single-owner sale for Americana Week in January 2008. The couple, then in their early 80s, had casually discussed selling for several years. An August call from a friend, Christie’s chairman Stephen Lash, resulted in an impromptu discussion, followed by another call from Christie’s deputy director John Hays. The Riordans were astute in their timing. Wall Street’s meltdown began a few months after the sale with the collapse of Bear Stearns. The auction, which realized $2.6 million, $500,000 above estimate, was a tribute to Riordan’s taste and standing in the field. The splayed table she bought from Horace Porter in 1958 brought $10,000. 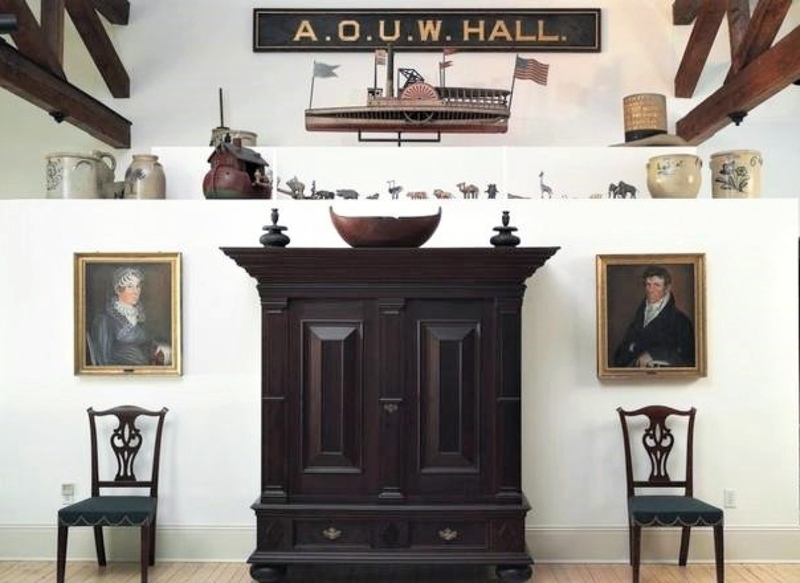 The top lot, at $313,000, was a painted wood steamboat weathervane made in Bristol, R.I., in 1858. Riordan reportedly acquired it for $10,000 at Sloan’s in Washington, DC, in 1977. We will miss Marguerite Riordan. Often lost in the trade’s competitive whirl is how much the industry needs big dealers, whose brashness and daring attract collectors, enlarging and enlivening the field for the benefit of all. “You think of some of the greats who have departed the stage recently. It’s had a huge impact on the business. Just look the auction numbers,” Lionetti reflects. Averse to sentimentality, Riordan asked that there be no obituary marking her passing. Her wish, impossible to keep given her professional stature, was nevertheless in character. In place of an essay or conventional profile on the Riordans, Christie’s 2008 catalog simply reprinted Robert Frost’s poem “On the Sale of My Farm.” Its first lines – “Well-away and be it so/To the stranger let them go” – again seem applicable. 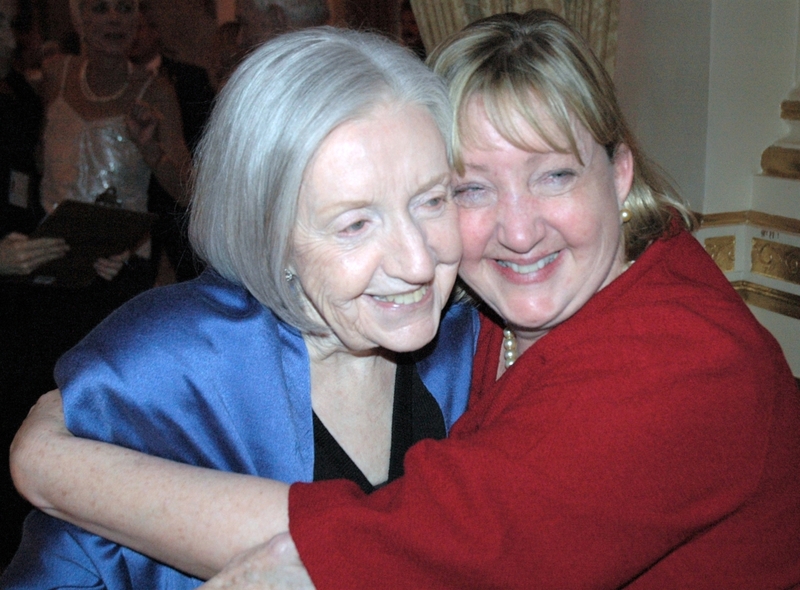 Marguerite with daughter Victoria at the 2008 American Folk Art Museum gala.